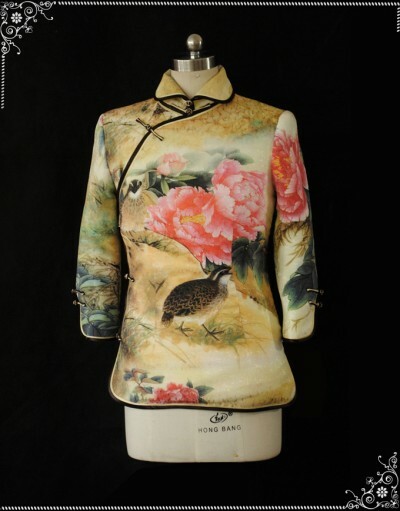 Yellow women's silk jacket. Mandarin collar, long sleeves. Black with golden trimming. Line buttons. With lining.